*At the liner you will receive a chest enlarger for the XXL Neck horses free of charge. This is the ultimate outdoor cover for all seasons, especially for baroque horses and breeds with a wide front. 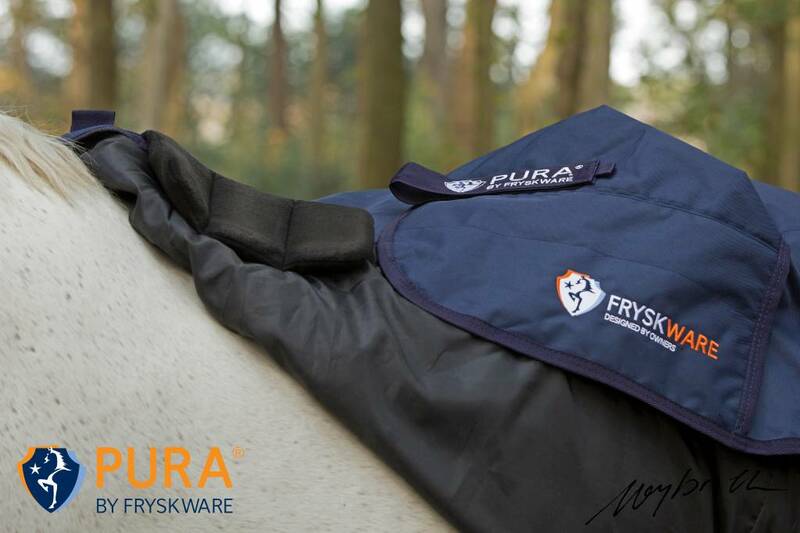 The Fryskware PURA Liner is the perfect stable- and transport cover. Put it under the Fryskware PURA Turnout (50 and 150 gr.) and you will have a fantastic rain/winter cover. With this 2-in-1 system you create a warm, waterproof, max. breathing outdoor cover of 150 or 250 gr. You can even attach a detachable neck to it (50 and 150 gr.). Cold weather? Simply attach the Liner under your PURA outdoor cover. Less cold? Remove the PURA Liner. Easy and effective! In the stable? Remove the outdoor cover; your PURA Liner is a comfortable stable cover. In the trailer? 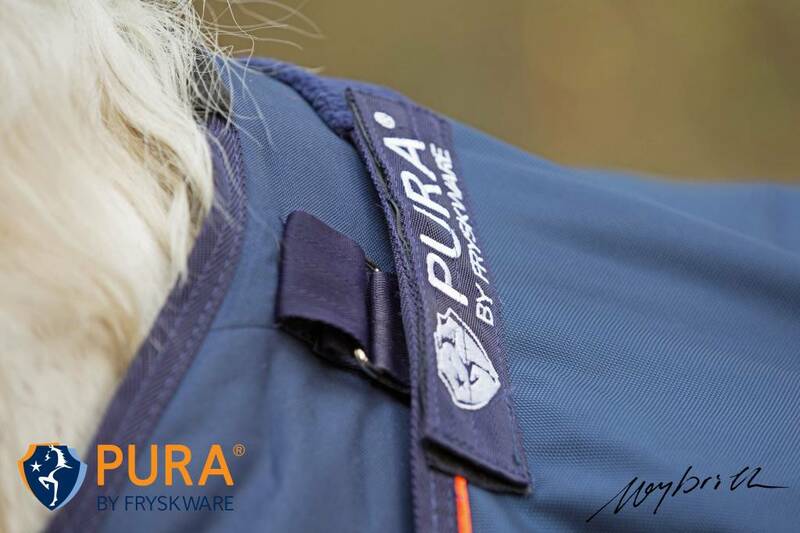 The PURA Liner offers your horse protection along the way. The PURA Liner is made of an antistatic, smooth, antibacterial lining with a heat-regulating fibrefill filling, 100 gr. This lightweight fibrefill filling always ensures the right heat. The breathing outdoor fabric 600 D Oxford, makes the PURA Liner a strong stable- and transport cover. The lining of the PURA Liner is made according to the Stay shiny, silky, softly and soundly principle, which means that the smooth, antibacterial, antistatic lining of the PURA Liner keeps your horse shiny, groomed and clean.